I'm doing a group tour again, like last year, but this time around I'm with Intrepid - a decision taken mostly because although I loved my Contiki, Intrepid covers more ground at a lower cost, and has less of a party reputation, which neither my budget nor my liver could handle again. 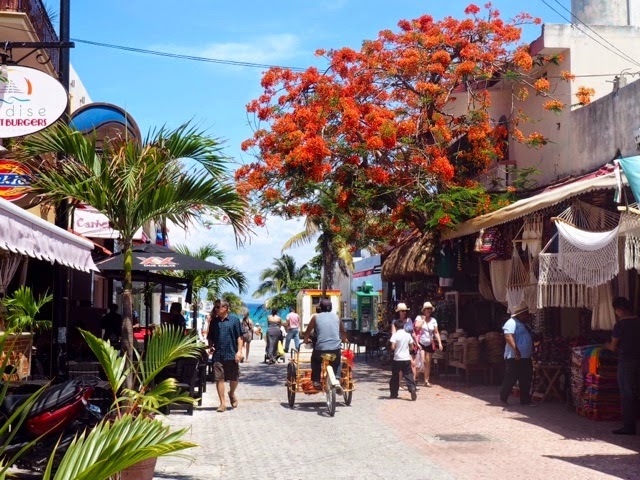 We start from Playa del Carmen, Mexico and travel south for about 30 days until San José, Costa Rica. I arrived in Playa a day early, to allow for jet lag and getting used to the place. 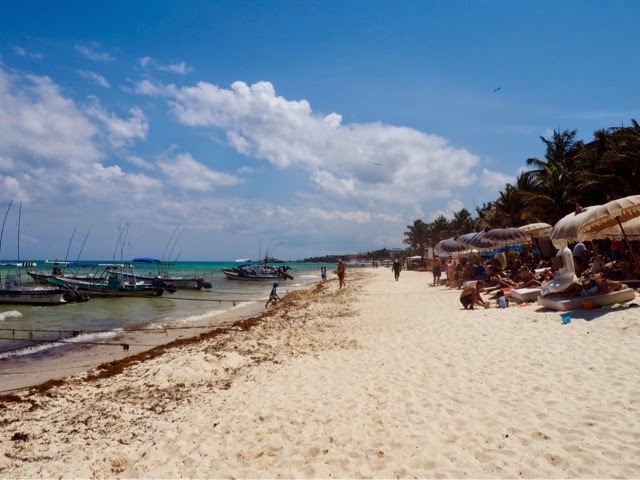 Skyscanner was my choice in searching for my flights, though I ended up booking direct with Thomas Cook, who had a decent price for a direct flight Manchester to Cancun, rather than the multiple layovers on many others. I booked my transfer with Intrepid, as well as my extra night in Playa del Carmen hotel. There was a few minutes of panic when my driver hadn't appeared, but a couple of phone calls got it all sorted, as he'd just gone to the wrong terminal! 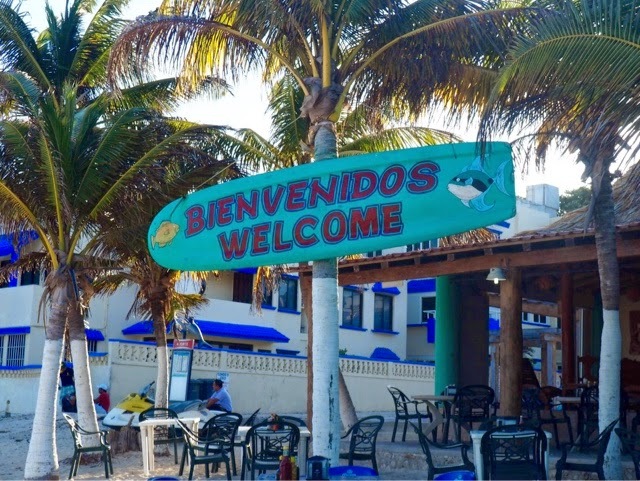 Mexico is 6 hours behind the UK, so I had to force myself to stay awake for a while on arrival, by taking a wander through the town and down to the beach, before I gave in and crashed. After a morning in bed, my second day was spent at the beach. There are plenty of trips & activities on offer in Playa, but I figure my tour leader will point out the best ones throughout the trip, so I opted to spend today relaxing. And by a happy coincidence, one of the girls from my trip last year was in Playa as well! We were lucky to be able to meet up, and spent the afternoon lazing on the beach and taking a dip, and catching up with each other. She lives in Australia, so it's rare that we'll get these chances. After leaving her, I went back to the hotel for the welcome meeting with my tour leader and the rest of the group. There's only nine of us, with a pretty wide range of ages, but I've said to people before that I think travel like this is more about people's mentality than their age, and everyone seems up for an adventure. Our leader, Damaris, knows this area well and seems very passionate about it. She took us out for dinner, where I had my first real Mexican burrito (opposed to the ones we get back home) which was excellent, and washed down with some beer. Walking along the main street at night was cool too, as everything is still open, and bursting with colour, light, and music. I really want to visit Mexico. Cool photos.